I believe that piece of wisdom is as important today as it was back then. 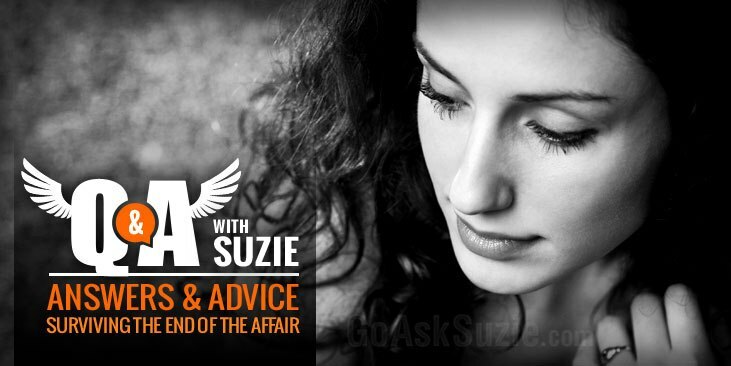 So, it’s with a spirit of non-judgment that I answer 5 questions sent in by affair partners… who found themselves dealing with the harsh realities of pain & hurt after ending affairs… and needing to know how to better deal with the grief, heartache, guilt, anger and disillusionment that so often accompanies the later stages of infidelity or an indiscretion. Here is a list of questions others have found to help them heal the hurt after ending an affair. Feel free to start from the first question and read along in order, or you can use the following links to jump directly to specific questions. Question #1: How am I supposed to live without him? Question #2: How can I get over him faster? Question #3: How do I heal my broken heart? Question #4: How do I stop the negative self-talk? Question #5: How do I get past the anger that she won?